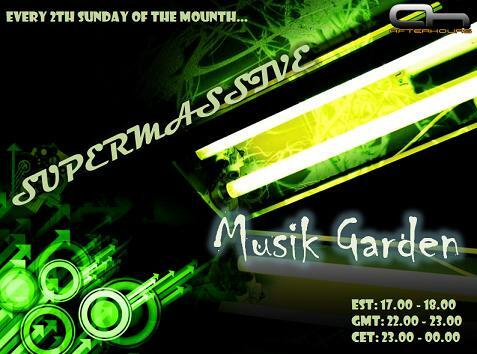 Welcome to another episode of Musik Garden. Pump up the volume because we got some wicked tracks on the show. Last edited by Supermassive; Jul 14th, 2008 at 00:04. To start this great remix of Duderstadt. No problem since you're listening. We continue with another good work from Jerome Isma. Long time I don't see you. I think it's a better time too. Keep tuned. We have some great tracks on the way.